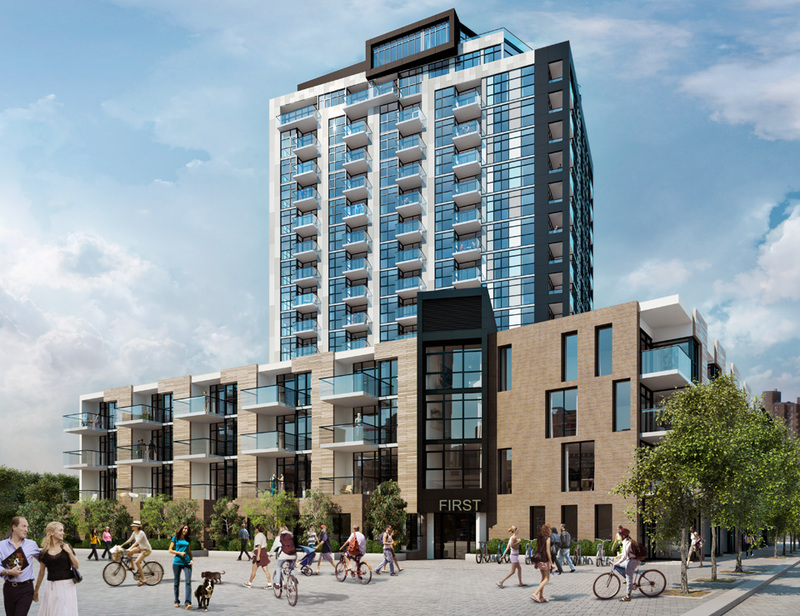 Recently, we blogged about Calgary’s East Village and the first residential condominium there, aptly called FIRST. Baker Real Estate is excited to have the exclusive Toronto listing for this outstanding residence by Fram Building Group and Slokker Group. Investing at the beginning of the East Village’s exciting rejuvenation is wise, because of what the area will have to offer residents. The Calgary Municipal Land Corporation (CMLC) is implementing a master plan for 49 acres in the downtown east core. A mixed-use community in the finest sense of the word, the East Village will eventually be home to thousand, as well as grocery stores, shops, restaurants, theatres, medical services and more – all within walking distance of each other. Unlike other urban developments that rely on existing infrastructure, these amenities will be new, and targeted at what today’s urban sophisticates want and need. CMLC studied best practices from around the world, and has designed the area as a true urban village where people will get to know their neighbours as familiar faces on the street and in the public realm. The East Village experience will be dynamic, energetic, diverse and smart. Calgarians can now work AND live downtown rather than commuting to bedroom communities. Interestingly, rather than one age group attracted to this new residential scenario, East Village appeals to everyone from first-time buyers and young professionals to the move-up market and maturing baby boomers. What they all have in common is a desire to live downtown in the heart of Calgary’s cultural and entertainment areas. This bicycle- and pedestrian-friendly section of the city offers the exciting urban experience, and only a few feet away, the calmness and natural greenery of the riverbanks. With suites starting from just the mid-$200,000s, FIRST offers an extraordinary opportunity to get in on the ground floor of this amazing metamorphosis. The East Village is THE place to be in Calgary. To find out more about investment opportunities, visit www.baker-re.com.